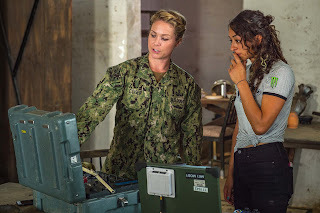 “I am in charge of the maintenance and operation of equipment used to provide off-hull satellite communications (internet) via radio frequency transmission,” Wescott said. 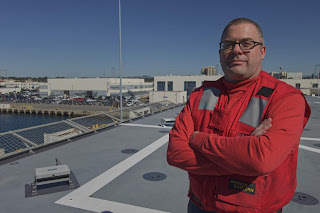 Wescott is part of the boat's gold crew, one of the two rotating crews, which allow the boat to be deployed on missions more often without taxing one crew too much. A typical crew on this submarine is approximately 150 officers and enlisted sailors. Serving in the Navy means Wescott is part of a world that is taking on new importance in America’s focus on rebuilding military readiness, strengthening alliances and reforming business practices in support of the National Defense Strategy. As a member of one of the U.S. Navy’s most relied upon assets, Wescott and other sailors know they are part of a legacy that will last beyond their lifetimes providing the Navy the nation needs. “Serving in the Navy gives me the opportunity to serve my country with honor and pride,” said Wescott.